Experience a luxurious tropical getaway with one breath. Let exotic fragrances transport you to a tropical paradise where soothing waves wash over parched beaches and tranquil shores. Enjoy the sensation of Hawaiian magnolias against a backdrop of midnight woods or a tropical Christmas fused with fruity goodness and joy! Seaside breeze filled with clean citrus, jasmine blossoms and sweet musk. Top notes: fresh, clean, citrusy. Middle notes: elegant jasmine blossom with rich amber. Base notes: warm, woody with sweet musk. Outdoorsy blend of fresh green, soft wood, and florals, clean and masculine. Top notes: sweet and woody. Middle notes: balsamic, ozone, and juniper berry. Base notes: soft florals and musky undertones. Green bay leaf, balsam, juniper berry on a foundation of warm musk and amber woods. Top notes: leafy green and California bay leaf. Base notes: warm-musk and amber. Luscious blend of tropical fruit, coconut, and feisty florals. 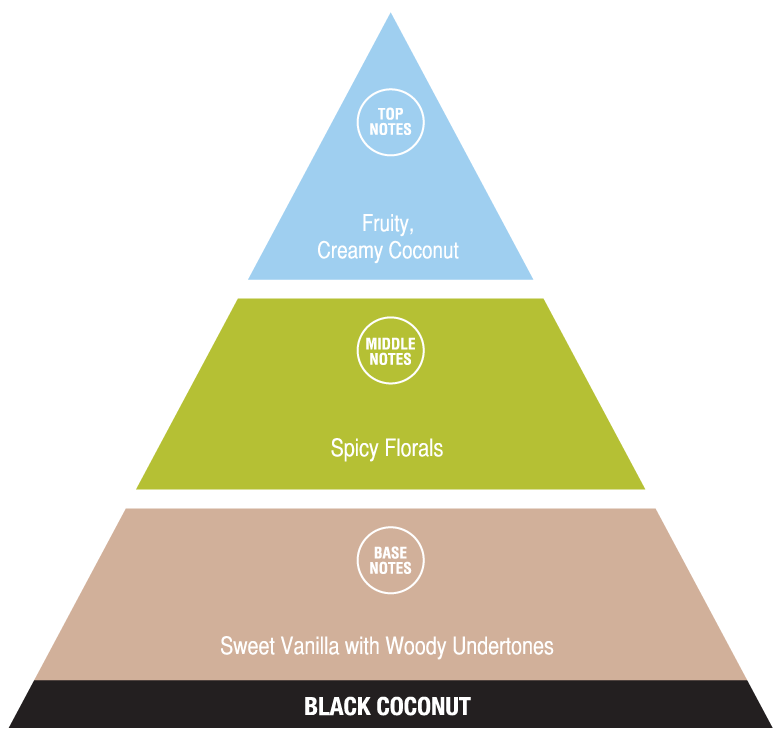 Top notes: fruity, creamy coconut. Outdoorsy blend of pine and fruit. Top notes: cooling spice with hint of vanilla. Middle notes: leafy with woody spruce and tangy citrus nuances. Base notes: sweet sandalwood with mixed berry undertones. A romantic blend of tropical fruit and palm trees. 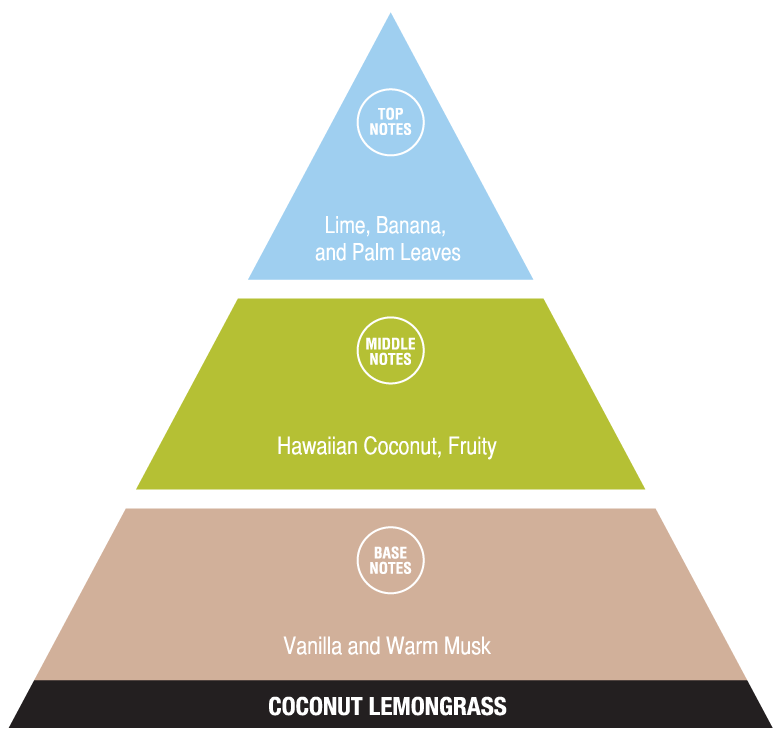 Top notes: lime, banana, palm leaves. Middle notes: Hawaiian coconut, fruity. Base notes: vanilla, warm musk. A vibrant blend of sweet fruit, spicy florals, and woody musk. Top notes: fruity, sweet berry. Middle notes: soft florals and spice. Base notes: woody with warm musky undertones. Asian inspired with spicy, fruity florals and intense vanilla. Top notes: apples and pears. Middle notes: bergamot, rich chocolate with rose floral nuances. Base notes: vanilla, warm musk with patchouli and sandalwood undertones. Surprising ensemble of wonderfully soft florals found only in the great outdoors. Middle notes: powdery floral with beautiful jasmine. Stroll through a mythical wood of enchanted pine and whispering breezes. Top notes: cooling camphoraceous with warm spice. Middle notes: rich pine with balsam and citrus nuances. Base notes: sweet sandalwood and patchouli with hint of florals. Blend of fresh fruit and creamy vanilla with hint of citrus. Top notes: tart citrus, sweet vanilla. Middle notes: hint of peppermint with creamy vanilla. Base notes: mixed berries with peppery musky undertones. A cool tropical mist falls on a crisp moonlit night. Top notes: clean and fresh with hint of citrus. Middle notes: fruity blend of green florals and hint of citrus peel. Base notes: soft musk, woody, and floral undertones. A warm, stroll down a spiced-filled woodland path. Top notes: spicy and warm, leafy, hint of lemon. Middle notes: woody nuances, juniper berry with tart citrus. Base notes: sweet sandalwood and patchouli, warm musk, with hint of florals. An exotic island getaway of citrus and florals. Top notes: clean, ozonic, citrusy. Middle notes: warm, sweet floral. Base notes: smooth musk with a hint of spice. Fresh citrus and cedarwood on a bed of florals. Top notes: fresh, mild citrus. Base notes: smooth floral undertones. Juicy, tart grapefruit with sweet, fruity undertones and a creamy vanilla base. Top notes: crisp, tart grapefruit. Middle notes: juicy citrus, fruity. Base notes: sweet, creamy vanilla. Grapefruit with a zing of fresh citrus, and green lime and lemongrass. Top notes: orange peel, fresh, green. Middle notes: grapefruit, lime, lemongrass. Base notes: honey, black tea, musk. Fresh, clean scent of jungle leaves and dew-kissed bamboo garden. Top notes: fresh, clean and leafy green. Middle notes: fruity floral nuances with tangy citrus. Base notes: jasmine with herbaceous undertones. Tart crisp grapefruit and citrus enveloped in fruity florals. Top notes: crisp, clean with tart grapefruit. Base notes: sweet and musky with mixed berries. An exotic blend of citrus and sweet tropical florals. Top notes: citrus, orange peel. Middle notes: sweet and fruity florals. Base notes: rich patchouli with smooth, musky undertones. A dreamy blend of florals and sweet fruit. Top notes: clean, fresh, vanilla. Middle notes: mixed fruit and florals with tangy citrus nuances. Base notes: soft and musky with mixed berries and floral nuances. A floral splash topped with bright tangy fruit. Top notes: clean with hint of cucumber. Middle notes: fresh and fruity with hint of melon. A wonderful blend of citrus, floral, and edible notes. Top notes: orange and lime. Middle notes: white tea, fir balsam, and mango. Base notes: coconut, vanilla, and peach. Fresh, fruity, greens, and citrus enveloped in sweet florals and warm undertones. Top notes: lemon, green, fruity. Middle notes: jasmine, red currant, rose. Base notes: peach, moss, leathery. Rich vanilla infused sweet sandalwood and mint. Top notes: warm spice, mint, sweet vanilla. Middle notes: leafy with woody balsam, creamy vanilla, hint of mint. Base notes: sweet sandalwood with warm musky undertones. A balanced blend of rich spruce and musk surprised by soft lavender. Top notes: fresh, camphoraceous, hint of vanilla. Middle notes: rich spruce and lavender. Base notes: woody and floral undertones with touch of warm musk. Fresh blend of florals with a hint of herbs and fruit. Top notes: clean, fresh blend of florals. Middle notes: mixed fruit and florals with hint of citrus and melon. Fresh, clean island atmosphere of tropical fruit and florals. Top notes: fresh, clean, leafy-green. Middle notes: fruity, mixed berries and sweet floral notes. Country lane lined with sweet, wild huckleberry. Top notes: green, leafy, citrus. Middle notes: fruity, tart berry. Base notes: intensely sweet with musky undertones. Intoxicating mix of rich woods, lavender, florals, and warm vanilla with just a hint of citrus. Top notes: fresh, clean spice with touch of vanilla. Middle notes: leafy and woody with lavender and hint of citrus. 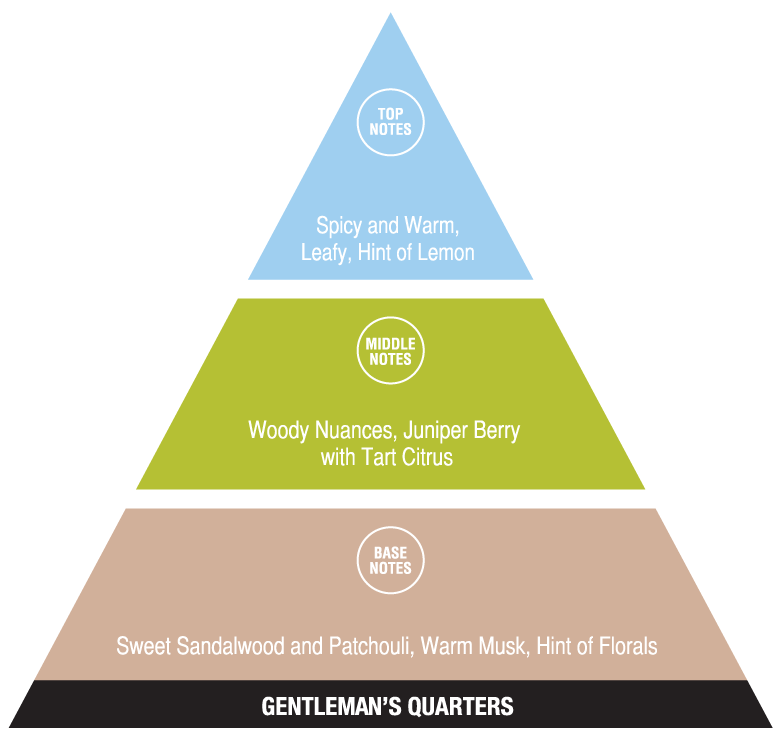 Base notes: smooth patchouli with floral undertones. A backyard fortress of sweet vanilla and soft lavender. Top notes: creamy vanilla and soft lavender, citrus. Middle notes: soft florals and patchouli. Base notes: warm musky undertones. A rich gathering of rich vanilla, balsam, and lavender. Top notes: sweet vanilla and clean spice. Middle notes: floral, balsam, with hint of lavender. Base notes: musky and woody with floral nuances. Fresh victorian garden of florals and lavender kissed with dew. Middle notes: mixed fruit, soft florals nuances, and touch of lavender. Base notes: sweet musk and floral undertones. A fresh bouquet of cedarwood, mixed berries, and soft florals. 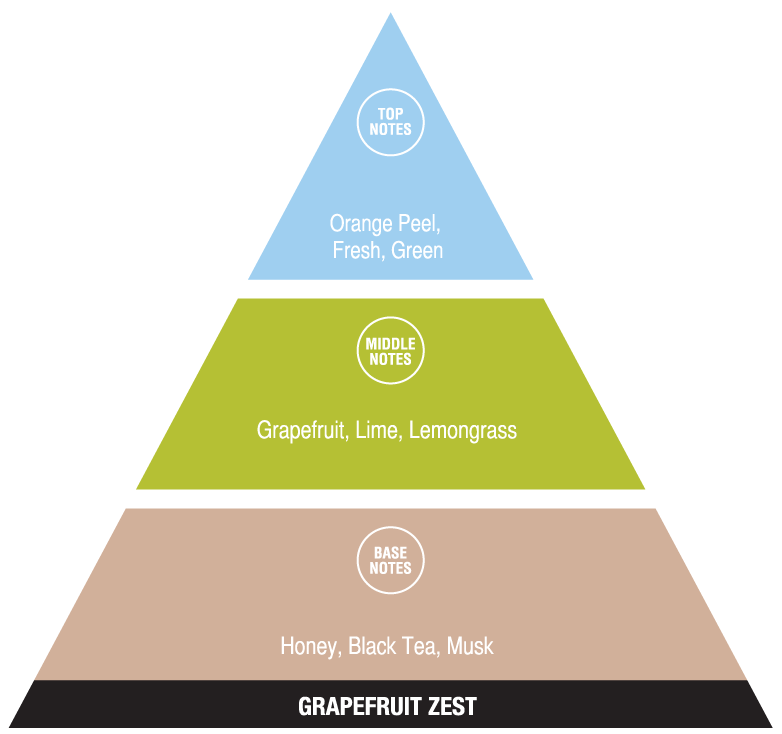 Top notes: fresh, citrusy, green. Middle notes: woody, fruity with floral highlights. Base notes: smooth floral undertones and hints of musky wood. Fresh lavender backdropped with smooth vanilla and kissed with fruity florals. Middle notes: smooth lavender blossoms with soft florals and fruit. Base notes: slightly spicy with floral and musky undertones. A crisp blend of mango and jasmine, with orange, peach, and pineapple top notes. Top notes: citrus-orange, lemon leaf. Middle notes: fruity-pineapple, peach, strawberry. An exotic and festive grouping of sweet fruits and green florals. Top notes: clean and spicy with grapefruit. Middle notes: citrus with hint of mixed fruity florals and cinnamon and clove. Base notes: mixed berries with sweet musky balsamic undertones. White and wild coconut with a vibrant splash of tropical fruit. Top notes: tropical mixed fruits. Base notes: sweet, musky undertones. Canopy of fresh evergreens in softly scented midnight air. Top notes: spice with cooling spruce. Middle notes: woody nuances, evergreen, hint of citrus. Base notes: sandalwood with woody undertones and floral nuances.